Coastalstone, dba,Kunstler Stone Marble & Granite professional staff has been successfully installing granite, marble, onyx and quartz counter tops in granite,marble, onyx, and quartz counter tops throughout Southwest Florida. In addition to the numerous counter top installations we have also installed and designed stone and tile flooring, back splashes and shower walls. I can simply say that our clients often refer to us not only as the friendliest people in the business but perhaps also the most honest. In fact, we actually refuse to build or remodel anything for rude people. We've found that working with such clients are bad for business in every possible way. Our company, is built around the concept of friends, family and community. We try to make the world a better place not just for ourselves, but for those we meet. If you are looking merely for low price we are sure that there is an unlicensed contractor out there willing to sell you something and then build you something from cheap, substandard materials that will soon fall apart or disappear with your money. On the other hand if you are looking for a reasonable price for quality work from a company that cares about your happiness then perhaps you should pick up the phone and give us a call. We offer a wide array of cabinetry, flooring, and solid surface counter tops. With over 7,000 slabs in inventory between our four locations, and our multiple lines of cabinets and tile, we have the ability to create custom and unique results. We also offer interest free finance options to all of our clients. We have been in business for over 10 years and pride ourselves on our knowledgeable staff and our experienced stone craftsman. We take pride in our excellent customer service and well-trained staff. Creative Soapstone serves all of Florida with all aspects of soapstone fabrication. We specialize in indoor and outdoor kitchens, bathroom vanity tops, sinks, fireplace surrounds and many custom applications of soapstone. We travel the whole state of Florida with our mobile fabrication shop and also offer soapstone refinishing. 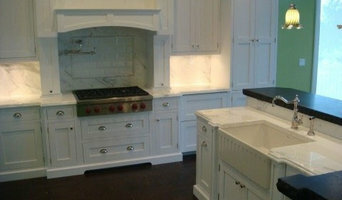 We are the largest importer of Soapstone in the state of Florida. In a world where customers are treated as just another number, it’s our mission to provide a refreshing and personalized experience to you from beginning to end. Yes, we sell some of the most beautiful Travertine and Marble products on the market, but it’s the needs of our customers and the elegance of their completed stone projects that matter to us most. The first step to outfitting your home with stunning natural stone is walking through the doors of Marble Expo. From contemporary to rustic to old-world styles, natural stone products add timeless beauty to all surfaces. Our trained and knowledgeable staff is eager to listen to your ideas and work with you to create a professional natural stone design that is exclusive to your home project. We are second to none when it comes to superior quality Travertine and Marble products. Marble Expo not only imports stone from the finest quarries in Turkey, but we also offer pricing that fits all budgets. Each stone is hand picked to ensure that our customers receive the finest natural stone products anywhere. We carry a wide array of products and specialize in Travertine, Marble & Limestone flooring, pavers, copings, backsplash, wall tiles, mosaics, glass mosaics, and moldings. With over 2 million square feet of beautiful stone products to choose from, Marble Expo gives you the best selection in the southwest Florida area. Not only do we offer premium quality and the widest selection of products at the best prices,we also offer prompt and fast shipping to anywhere. Our exclusive stone products will add value and long lasting visual appeal to any home or business. Whether you’re a builder, contractor, homeowner, interior designer or architect, we will passionately pursue your goals and provide you with a combination of unmatched personalized service and exclusive natural stone products. Transform your home or project with the beauty and elegance of a Marble Expo experience. We are here to create the Kitchen of your dreams and save you time and money. Someone qualified and experienced will be with you every step of the way when planning, designing and building your own personal project. The Outdoor Kitchen Place was founded in 2013 by Anthony Zanette, a graduate of Barron Collier High School and the University of Central Florida. What started out as a small sideline to his father’s business, Zanette Construction, quickly became a well-known and respected leader in the outdoor kitchen industry. The firm grew quickly with a highly diverse portfolio of projects to back up their (or our) reputation. The business is located in the heart of Old Bonita, in the midst of the downtown refurbishment development plans. The building, located at 27564 Old 41 Road, was originally constructed in the 1920’s but was destroyed almost immediately by a Category 4 hurrricane. Approximately one year later, a new building was constructed and occupied by one of the earliest pioneer families, bringing the building great historical significance in Bonita Springs. In 2008, Louis Zanette purchased the building and wanted to ensure that the renovation project preserved the structures integrity and appearance as much as possible. Drop down ductwork, architectural millwork, engineered wood flooring and carefully selected furnishings were some of the final touches that helped Zanette Construction new showroom. 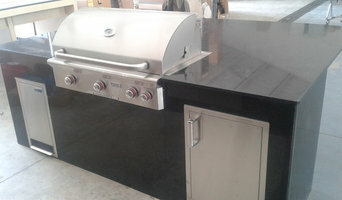 The Outdoor Kitchen Place is your Southwest Florida choice for the best kitchen accessories and materials in the area. From cabinetry to countertops, stone, stucco, and fireplaces, we are providing local resident’s with the kitchen they’ve been dreaming of. Our experienced team is helping build, plan, and design kitchen areas for looks as well as functionality. For many, the kitchen is the heart of the home. Treat yourself, family, and friends to a luxurious space that they can enjoy. Classic Stone Marble & Granite has been family-owned and operated since 1988. Stanislaw Banski began working in the stone industry in the mid 1980s. By the mid 1990s, his sons, Kris, Peter and Paul, joined him. We work closely with builders, contractors, designers and discerning homeowners to provide quality work at competitive prices. More importantly – we stand behind our work! Classic Stone has kept up with the industry changes. Our craftsmen create custom countertops, feature walls, fireplaces, etc. in quartzite, marble, quartz, onyx and glass. Whether you are looking for a single vanity top or countertops for your entire house, we will provide you with a free, no-obligation estimate. Our sales staff will guide you through the selection process and answer all your questions. SunMAC Stone Specialists are a wholesale granite company. We offer granite, marble, and a wide variety of quartz counter tops. We do everything from product selection to fabrication to installation. SunMAC is jointly owned by Marcelo Zaupa, Araken Fernandes, and Cir Soares. Together they have many years of experience in the stone industry and are ready to cater to your counter top needs! At Seashore Granite, it has always been our aim to provide Southwest Florida with the best countertop fabrication and installation services. What considerably sets us apart is our attention to detail, which shows through our quality craftsmanship. Our highly skilled technicians and installers are constantly striving to better their skills by continuing with ongoing training to stay up to date with all the latest techniques. International Artistic Stone, Inc., is a full-service, marble, granite, and limestone fabrication company based in Sarasota, Florida. Founded in 1999 by Robert Krolikiewicz, we are a multi-faceted fabricator of real, solid architectural stone. Our company offers only the finest stone available. Combining today's technology with yesterday's techniques, International Artistic Stone brings you a product that is truly magnificent, easily maintained, and one that will endure the test of time. We specialize in the fabrication of natural stone.Our product line and the associated possibilities are endless. In addition to the many profiles we offer, our sculpting technicians can produce custom profiles to your specifications. We will work with you using sketches and your imagination to create the perfect color, texture and style. Real architectural stone beautifully complements the exterior and interior of residential and commercial buildings. 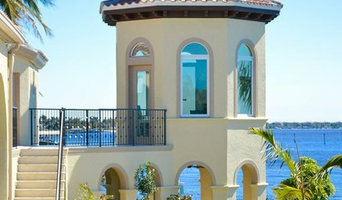 Common applications for our architectural pieces include columns, mouldings, balusters, fountains, casings, caps, bases, surrounds, capitols, tiles, and pool coping. Many of our ornamental pieces include, but are not limited to, animals and obelisks. 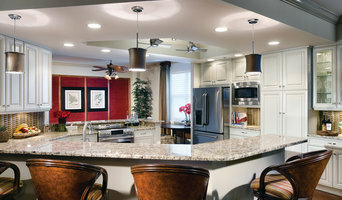 We also create beautiful countertops for kitchens and bathrooms from slabs of granite and marble. You can count on us to fabricate elegant stone shower walls, floors and tub decks among many other unique applications. Our goal is to be absolutely certain that our customers have the perfect products and services to bring their visions to life. We are well recognized in the Sarasota/Bradenton area because of our quality of work, our very professional staff, our vast inventory and our unmatched value. We also have cutting-edge and top-of-the-line fabrication equipment in-house. Our no-nonsense, take-care-of-business attitude is what makes us “Sarasota’s Finest in Quartz, Granite, and Marble.” Our customers are our partners in business, and we treat them as such. From the first client meeting to the finished install, we want you to feel confident in choosing us to bring your project to life. In addition to basic surfaces, many Tice, FL tile, stone and countertop contractors can create and install murals and mosaics, as well as add decorative edge treatments to countertops. They also repair or replace surfaces in the event of chips, cracks, stains or other damage. Many tile, stone and countertop professionals also install shower pans, radiant-heat flooring systems and other common components of surfacing jobs, often working in tandem with Tice, FL plumbers or other professionals. Here are some related professionals and vendors to complement the work of tile, stone & countertops: Interior Designers & Decorators, Architects & Building Designers, General Contractors, Kitchen & Bath Designers, Design-Build Firms. Find a tile, stone and countertop contractor on Houzz. Narrow your search in the Professionals section of the website to Tice, FL tile, stone and countertops. You can also look through Tice, FL photos to find tile, stone and countertop projects you like, then contact the contractor who worked on it.